Over the past few years I’ve spoken with a couple dozen screenwriters including three Oscar® winners. In each conversation I’ve asked how I should best spend my 10,000 hours in becoming a great screenwriter. For those of you not familiar with Outliers, author Malcolm Gladwell repeatedly mentions the “10,000-Hour Rule”, claiming that it took experts in any given field 10,000 hours of task specific practice to master their craft. In this article, I’ve summarized the various answers that I’ve received and created the G.R.E.A.T. acronym to share how to set 21-40 hours a week aside to become a great screenwriter. G. GO TO THE MOVIES every week (2-4 hours/week). Screenwriters go to a minimum of one movie every week on average. Additional movies can be watched on NETFLIX or from a personal DVD/Blu-Ray library (which all screenwriters own), but it’s critically important for screenwriters to attend films in theatres every week. This brings an advantage of understanding their audience and how they react to various types of scenes in a movie. R. READ A SCREENPLAY every week (2-3 hours/week). Studios make their best screenplays available every year for Oscar® nomination consideration. Screenwriters download the 20-30 screenplays and read each one to learn about their competition and to glean any useful information to improve his or her skills. Screenplays can also be found online and purchased from writer stores. E. EXERCISE WRITING SKILLS every day (14-28 hours/week). Authors write and screenwriters do the same every day. Yes, every day. Screenwriters experience what some refer to as a form of withdrawal when they don’t write. The creative side of the brain is very aware of its lack on the days that the writer doesn’t reduce some thoughts to writing. All professionals stay up on their writing to stay polished and creative. A. 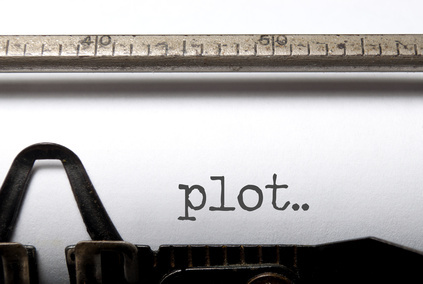 ASSOCIATE WITH SCREENWRITERS every month (1 hour/week). While networking is critical in the entertainment business, staying connected to associate screenwriters is also important. The creative soul is helped by the sharing of tips and tricks, along with the sharing of related circumstances that only writers understand. These comradery sessions encourage us to better ourselves regularly so we have something worth sharing. T. TAKE NOTES every day (2-4 hours/week). Screenwriters find great moments in every day life that are worth capturing for their “future” folder. During the research phase of a given story everything is captured in multiple forms for later. This might include roughing out a quick draft of a given scene, collecting clips from another source that can be adapted, or research notes captured on a napkin or scratch pad when submerged in the library or surfing the net. Those who try to stash the information in their memory typically lose those great moments. The G.R.E.A.T. Screenwriter is a person who does all of the above without giving it consideration, as it is a part of who he or she is. The process is fulfilling for the screenwriter and makes total sense. However, the person who wants to be a screenwriter, but doesn’t have it in their veins will find the above list painful to execute. For instance, a screenwriter will not only watch the films they love and the types of films they desire to write, but will also watch films they would never normally watch to better understand the genre, style, and narrative structure. On the other hand, the non-writer who wants to craft a screenplay will avoid films they don’t like and that don’t match the type of story they want to write. While studying Scorsese’s film, The Wolf of Wall Street, I learned that the screenwriter used the F-word 506 times. Due to the rule of diminishing returns, the word was weakened to a meaningless quip. By understanding the lack of impact that film made on me, I was able to rewrite an action film without any language. By the end of the story when the main character screams out, “No!”, it actually makes a far greater impact than the F-word did in Scorsese’s film.